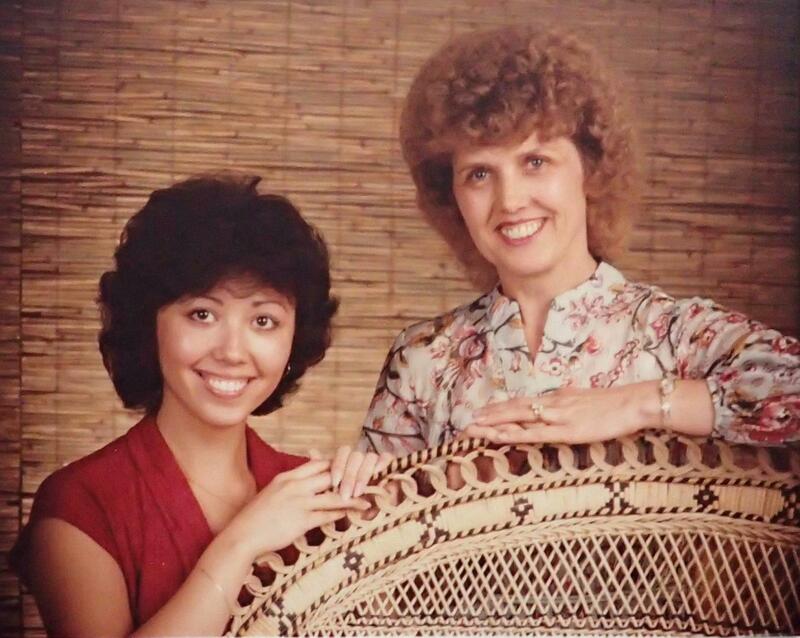 Debbie Rhodes and her mother, in better times. As we wait for her phone to pull up the cameras, Rhodes tells me she’s been her parents’ caregiver for seven years. Her father passed three years ago. Now it’s just her mother and she’s a handful. Home Instead is the Home Instead Senior Care Network, an agency that provides a variety of caregiving services. “My role over the last 10 years has changed. I went from full-time working, full-time business, empty nester for a few months there, and then Dad and Mom got sick. Dad had to have diabetic shots twice a day, couldn’t do much of anything else, but he was still sharp as a pin," Rhodes said. She got her parents out of jail. Doctors put mom on medication and Rhodes’ burdens increased. Rhodes had a conundrum with which many adult children can empathize. She had a mother whose mind was going but whose body was fine. She had a father whose failing health meant his ability to help was limited. The stress was making her sick. And the clock was ticking on the resources she had available to hire independent caregivers. “She had a long-term care policy that only lasted two years and so I was waiting until the point when I just couldn’t manage any more by myself with part-time help. But my dad kept firing them. They’d call me at work and say ‘I just got fired.’ That’s the day I had my TIA because I got so mad at my dad. I don’t even remember leaving work. I went home and my dad said I was really mad at him, madder than he’s ever seen and I just kind of screamed and grabbed my head and I was gone,” she said. Eventually, Rhodes hit her breaking point. Her father died, but she couldn’t care for her mother alone. She called the Home Instead agency and Christie Amans. Rhodes’ long-term care policy has paid for about two years worth of care. And she says that has helped immensely, allowing the caregiver to do the day-to-day chores and Rhodes to be a daughter while the help is there. But, she’s about at the end of that. From now on, she’ll have to pay out-of-pocket for outside care. So the financial stress is there and so is the mental and emotional toll. Last December, because of her mother’s situation, Rhodes left her job with the Spokane County Library District. She says she’s reviving a home-based business she operated several years ago while she manages her mother’s care. Meanwhile, Mom continues to go through her combative phases. It should be noted that Debbie Rhodes also has a husband at home and a son and two small grandchildren and two dogs. Together they manage to keep a household while Debbie oversees her mother’s care. Rhodes says she’s sharing her story because she hopes others who have their own situations will learn from her experiences. Christie Amans from Home Instead says stories like this are becoming more common. And more services are becoming available, too, for families. Some are private pay, some offered by governments. To find out more about them, one good source is the agency known as Aging and Long Term Care of Eastern Washington. She says some companies also have employee assistance programs for people who are caring for parents. And Home Instead has a new program that provides support for adult children. It’s called Daughters in the Workplace, because daughters are more likely to take responsibility for the care of their parents. You can find more information at DaughtersintheWorkplace.com.